Lett family connections to Benjamin Banneker. Jemima married Samuel (Delaney) Lett, a white farmer. It was said that his family name originally was Delaney and that he was of combined English, Irish, and Indian descent, however when he was a small boy his widowed mother, a white woman, married an African-American named Zachariah Lett. Samuel, took his stepfather's name and became known as Samuel Delaney Lett. He and Jemima were married in Baltimore County in 1757, and their eldest son, Aquila, was born in 1758. Until about 1770 the Letts lived in a log house in the vicinity of what became Ellicotts Lower Mills, and then moved to Frederick in Frederick County, Maryland. It was about at the same time that Zachariah Lett sold his land and moved to Frederick; Samuel and Jemima may have been living on part of Zachariah"s land before he sold it. The Maryland Census for Frederick County for the year 1790 listed the Lett household as consisting of Jemima and two of her sons, Aquila and Elijah. The entry specified: Jemima Banneker, the daughter of a free black man who had taken the name of Banneker from an unknown source, married a white farmer, Samuel Lett of English and Irish descent. They were married in Baltimore County, Maryland, probably in 1757 since her first son, Aquila, was born in 1758. Jemima was described as a modest person, devoid of all pretense, her complexion reported to have been black or nearly so. She lived a quiet and simple life, exerting a strong influence on her children, eight of her nine living to maturity. All of them were given Biblical names Aquila, Meshach, Samuel, Elijah, Mary or (Molly), Kesia or (Kezzie), Peter, and Benjamin. Aquila married Christina Cobbler, a white woman of German descent who may have had some Indian antecedents, and they had ten children. Meshach Lett was married four times, and three children were known. In about 1799 the Lett family left Frederick County and moved to Virginia between Leesburg in Loudon County and Winchester in Frederick County. Samuel and Jemima Lett both died in Loudon County, Virginia where they were buried. 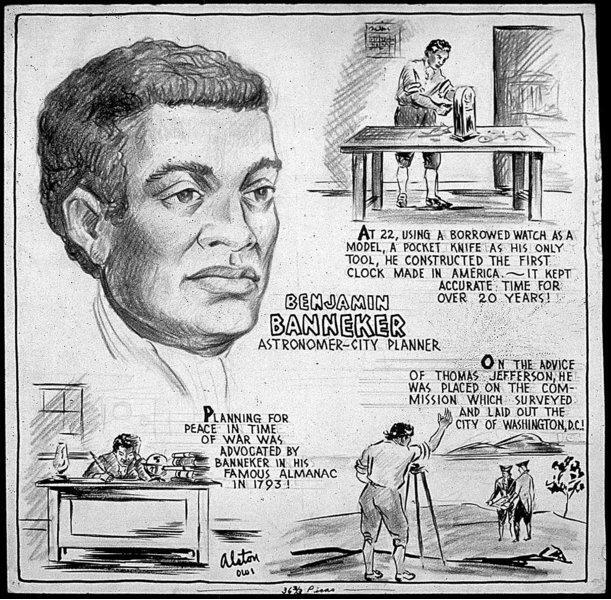 Excerpted from Bedini, Silvio A., The Life of Benjamin Banneker: The First African-American Man of Science. Maryland Historical Society, 1999. pg. 46 .